Twee T. is a pendant designed by Jake Phipps for Casamania. The idea of a cage goes back to the tradition of keeping canaries and other small birds at home - starting with the Egyptians and Romans, up to the Middle Ages and the English court ceremonial, where keeping birds in lounges was a sign of good upbringing. This way, an icon of British high-ranking status became a lamp-object. A true symbol, enhanced by gold plating and made useful by its lighting function. The little birds are made of hand decorated BOSA ceramics, black painted or plated in 24 carat gold; the structure of metal rod black painted or gold plated in the total gold version. 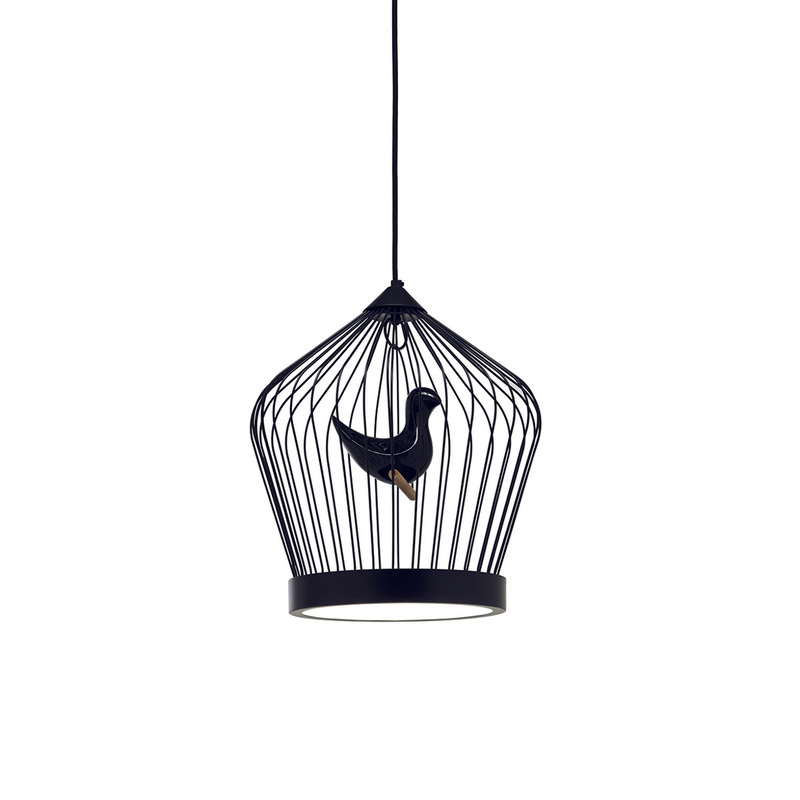 The LED lighting fixture is on the base of the cage, covered by a double polycarbonate shielding, that on the one hand illuminates the room and on the other hand illuminates the inside of the cage. Bulb requirements: CE 1° IP20 19W 250V 48 micro led. Cable length mt.